Get spooky (and educated) with ghost tours and paranormal activity found across Oklahoma. Many tours have words such as ghost and haunted in their titles, and people buying tickets want to hear about these spirits that go bump in the night. The spirit tours that happen every autumn across Oklahoma are also a good way to learn about the state’s history, because the stories are mostly about real people, organizers say. The Haunted History Tours at Three Rivers Museum in Muskogee are led by historians, says operations director Angie Rush, adding that tour participants visit “historical places that involve the paranormal,” such as cemeteries, buildings and houses. The tours are for ages 12 and older and limited to about 25 people. Ticket are $15, and the tours sell out every year, she says. For a schedule and reservations, go to 3riversmuseum.com or call 918.686.6624. In the state’s first capital, Stacey Frazier is in the fifth year of hosting her year-round Guthrie Ghost Walk. Interest picks up in September and October, so she adds dates and times, sometimes even midnight tours. Guthrie is so rich with stories that she’s been able to offer fresh tales every year, Frazier says. Tickets for the 90-minute walking tours are $10 for those 15 and older, $7 for ages 7 to 14 and free for kids younger than 7. Go to guthrieghostwalk.com or call 405.293.8404. The Tulsa Spirit Tour features haunted places and a serial killers tour in October, says Teri French, who created the attraction in 2003. She has conducted paranormal investigations since the 1990s and is the founder of the Paranormal Investigation Team of Tulsa. “People are always curious about what they don’t understand, about stuff that defies logic,” says French, who narrates most of the two-hour bus tours. Children under 16 must be accompanied by an adult for the bus tours, which feature “ghost stories, urban legends and the sordid history of Tulsa.” French says her walking tour is more kid-friendly. The serial killers tours are scheduled for Oct. 4, 11 and 24. Go to tulsaspirittour.com or call 918.694.7488 for the Haunted Tulsa dates. Tours are added based on demand. Tickets are $40. For those 18 and older, French also offers Ghost Hunting 101, a five-week course that meets on Tuesdays in October and costs $65. 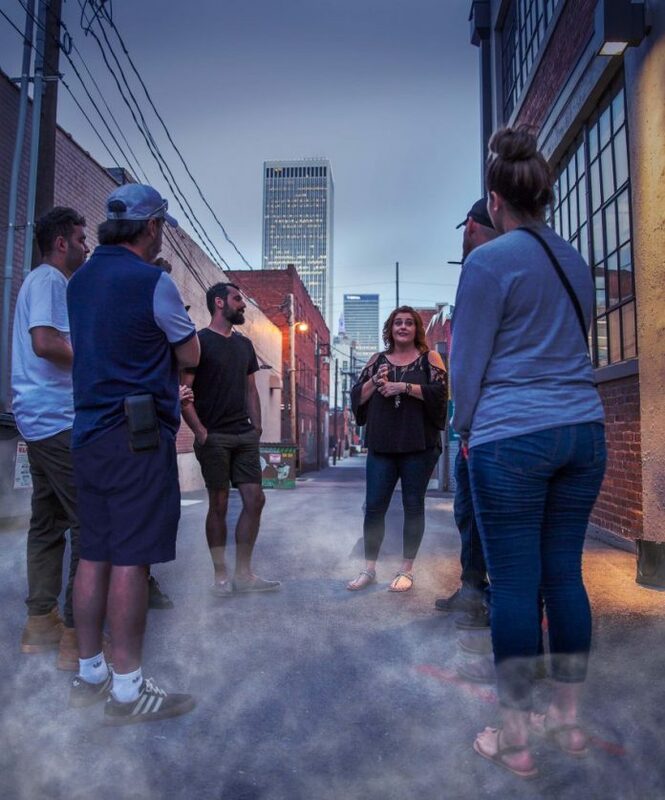 Back in central Oklahoma, author and English professor Jeff Provine offers the Oklahoma City Ghost Tour and Norman Downtown Ghost Tour during the two weeks before Halloween. He charges $10 for the walking tours, which, he says, are “upper PG-rated” in fright factor. Go to jeffprovine.com or call 405.343.1305. In El Reno, the Fort Reno Historical Spirit Tour comes with a bean supper, says Wendy Ogden, director and curator the U.S. Cavalry Association Museum. Tours are on two or three nights in October, depending on demand, and tickets are $15 for adults, $14 for seniors and $7 for kids. 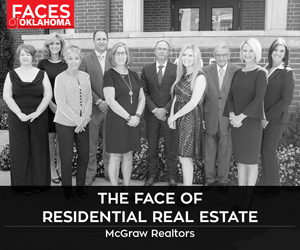 Call 405.262.3987.